The Doctor is In and she approves The POLTROCK TEAM in Murphy NC to Buy a Home in the Mountains! As a busy professional searching for the perfect mountain vacation home, I found limited time to adequately locate suitable properties. Fortunately, another realtor referred me to John Poltrock. John was able to meet my scheduling needs as an out of state buyer and prescreen properties in order to make my search more efficient. In addition, John made my visits to Cherokee County absolutely stress free by arranging wonderful accommodations when I visited to view properties. During and after the sale, John was extremely helpful in arranging necessary inspections and repairs as well as putting me in contact with local resources. I would highly recommend John to any buyer who is looking for a realtor to “go the extra mile” to make their next home purchase relatively stress free. A Home-Made Cheesecake is a TRUE Real Estate Testimonial to The POLTROCK TEAM in Murphy NC! There’s a lot of things in life that makes you feel good when people do little things. In real estate in Murphy NC, we get to work with some of the best folks in the United States! Jay and Peggy Center brought us a home made cheese cake to say thank you for helping them invest in a few properties here in Murphy NC and in Hayesville NC. They say a picture speaks a thousand words – but I think a cheescake might just be better! Thanks to John and all the REMAX Team of Murphy NC! We’re very happy to be hill-billies – ha! I would definitely recommend you all to others. We look forward to seeing you all in church or at the grocery store at the BBQ in the future. 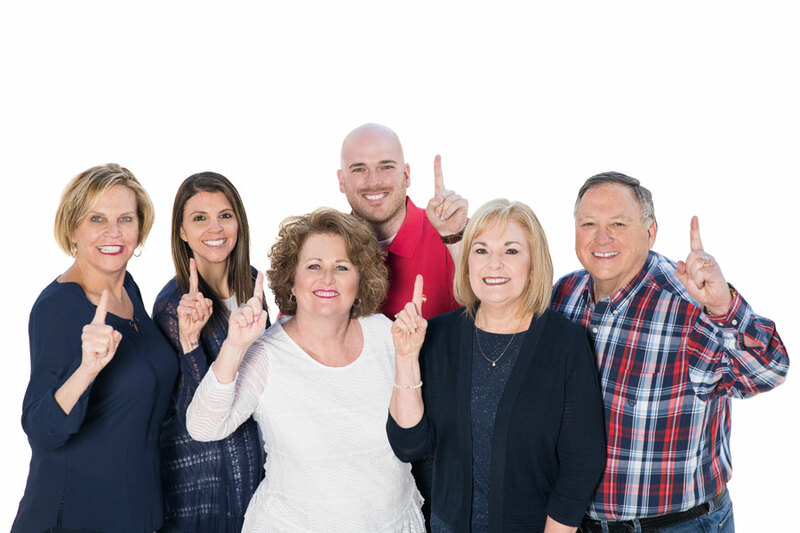 The Watt Family of St. Augustine, FL Recommends The POLTROCK TEAM at Murphy NC REMAX! The Watt family just recently purchased a property from us in Turkey Creek, which is a great Nottley River Community in Murphy NC. They wrote two testimonials – one on paper and one by email. We’ll share them both with you! Testimonial to Office Manager: I got to meet John by accident. I was working with a real estate agent in North Georgia who basically did not want to be bothered with smaller real estate purchases. Out of frustration, I “Googled” Murphy N.C. and John’s real estate website www.MyMurphy.com came up. I placed a call to him and was immediately impressed with his personable attitude and knowledge of his properties compared to my interests. John spent all day Friday and Saturday showing us properties that matched the criteria we gave him. On our first trip, we purchase property – a lot of that decision was based on his trust worthiness – he wasn’t selling us a bad deal. I would absolutely call John for any future needs and have already passed his name and number to my co-workers. I hope John is able to “ride out” the the lull in real estate the country has managed to find itself in. He would certainly make an excellent mentor to those new in the field. I look forward to working with him for any future transactions. Email Testimonial: Just wanted to share my experience with the Poltrock team regarding our real estate transaction …. What a breath of fresh air to work with someone who’s sole purpose was to insure customer satisfaction! My family and I made arrangements to visit Murphy during the summer just to ’scout’ the area out for our retirement at a later date. John lined up 2 days worth of prospects from the criteria we gave him – he made us feel very comfortable and welcome in a totally new place. John recommended lodging, food, and even gave us a brief tour of Hiwassee Dam. John’s knowledge of the area and his ability to understand our needs resulted in a purchase in Turkey Creek on our first trip! He was extremely helpful during the ’process’, making a long distance transaction seamless. He also made sure we had comfortable accommodations on our second trip to Murphy just last week – staying at a rental that was as clean and comfortable as our own home. His trust and honesty laid the foundation of our friendship – Big Kudos for John and REMAX of Murphy. I would recommend them to everyone! P.S. I really enjoy your blogs … I read them when I’m suppose to be listening on conference calls. A Testimony from and Elderly Couple who Bought and *SOLD* a Home with The POLTROCK TEAM in Murphy NC! This testimony is from a great elderly couple who we helped sell their home in Unaka and buy a new home in Marble. They were great folks to work with who needed a lot of extra help, and that’s exactly what they got from us. Satisfied Seller of Real Estate Approves The POLTROCK TEAM in Murphy NC! From the first telephone conversation throughout the entire transaction, I felt at ease with your explanations of the process and your knowledge. I know I asked many questions, some more than once, to better understand, and you were patient and understanding. Most of all, I had trust in your honesty throughout. You told it like it is! You get rated a 9.847 out of ten!! We bought a mountain chalet in February 2008. The Poltrock team did an outstanding job of helping us through the process. Both are outgoing with excellent ties to the community. We found them to be honest, hard working and willing to listen. They showed us several properties after listening to what we were looking for. They are a young couple with a strong focus on customer service. If anyone is interested in purchasing land or a mountain home in North Carolina or Georgia, my husband and I strongly recommend the Poltrock team. Thanks mom! It’d be terrible if my own mother couldn’t endorse The POLTROCK TEAM! Although I have to admit, the way you wrote it, I wouldn’t have known it came from my own mother. We hope you enjoy your investment for years to come! John and Jessica Poltrock – The POLTROCK TEAM – www.MyMurphy.com – JohnPoltrock@gmail.com – Homes and Land in the Blue Ridge Mountains of Murphy, NC – Call Toll-Free (877) 837-3002 and demand The POLTROCK TEAM!!! A Testament to Murphy’s Finest Realtors – from folks who DIDN’T buy real estate! We are writing to express our appreciation for all that you did in protecting our interest concerning the property in Murphy that we tried to buy. By following your guidance we did not make the mistake of purchasing a piece of land that was practically useless or may have cost us considerable additional funds to make it usable. We never thought of the possibility that a septic permit might not be granted (since one had already been issued before but had expired). We also want to thank you for all the courtesy that you extended to us in showing us around. The many locations that you have driven us to check out and the information that you provided while we traveled this past winter was beyond our expectations. We have been very impressed with your knowledge of buildings, land and the area around Murphy. We wish you and the rest of the Remax staff much success. If anything changes in our situation and we decide to sell our land in Georgia or buy in Murphy instead of building, we will call you immediately. We will keep in touch because we consider you and honest business man and now a friend. Thanks so much. Herman Samec Endorses The POLTROCK TEAM in Murphy, NC! When I first contacted John and Jessica, I didn’t realize how easy selling a piece of property could be… I called them because RE/MAX in Murphy had sent me a card soliciting my business. The card read, "WARNING! LISTING YOUR PROPERTY WITH JOHN AND JESSICA MAY CAUSE IT TO SELL." So I’m thinking to myself, YEAH, SURE. Not familiar with selling property, all I could see was confusion, lawyers, tax collectors, fees of all sort and a big stack of papers, and any other headache I could imagine. Despite my misgivings, I called John. He took the time to explain the process. The complete transaction was handled by a few phone calls and through the mail. The property sold for more and much faster than I had expected. It couldn’t have been easier. John and Jessica are real professionals – friendly, dependable, and efficient. I would highly recommend them to anyone wanting to sell their property. John would stay in touch with me at least 3 times a month just to check in when it was slow to let me know he had not forgotten about me. I felt like I wasn’t an afterthought. I was asking him to sell a raw piece of land [that was a challenging sale]. Yet he did the impossible, the amazing – he is a true closer! I enjoy his style and drive. RE/MAX is lucky to have him on their side. Cherylann Camesi & Alicia (Lisa) Hamilton"
Thanks for the compliments! We enjoyed working with you as well. We wish you all the best in your future endeavors!